2016 was a year of expanding relationships, forging new ones and strengthening old ones beyond borders, race, religion and beliefs. 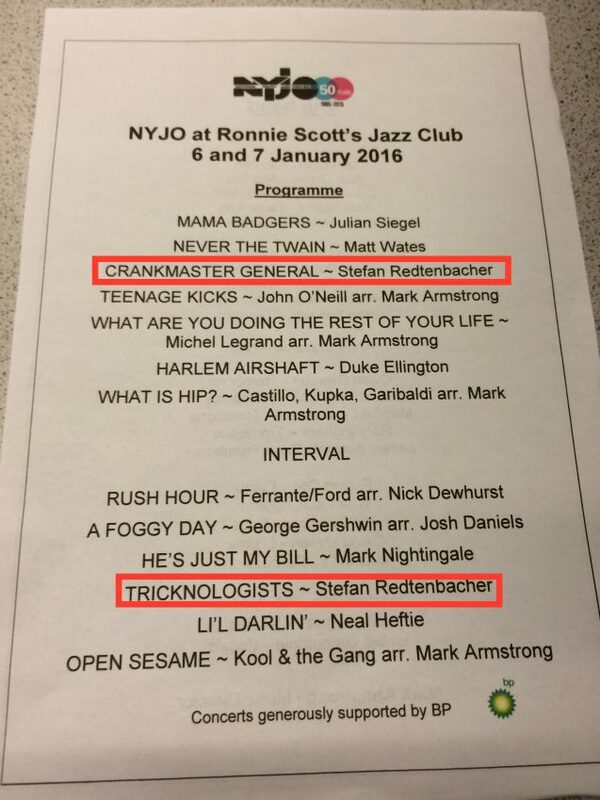 I’m very much looking forward to 2017 – performing my music and hearing it performed by small bands to the biggest funk orchestras! But first, here is a brief overview of what we were up to in 2016. 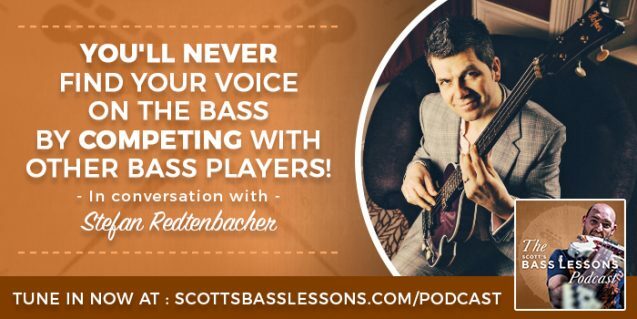 ‘You’ll never find your voice on the bass by competing with other bass players!’. 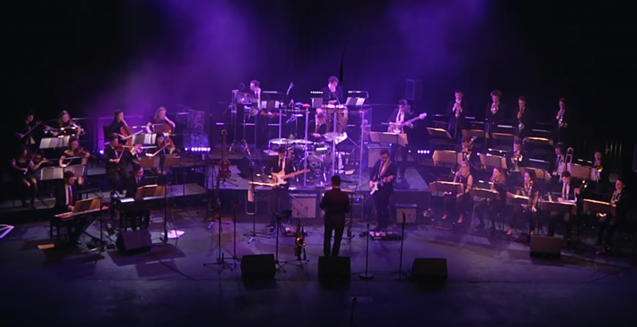 In February we had the enormous pleasure to work and play with the Royal Northern Session Orchestra (RNCM) in Manchester – to hear the music played by such a large and talented funk orchestra is something I will not forget in a long while. 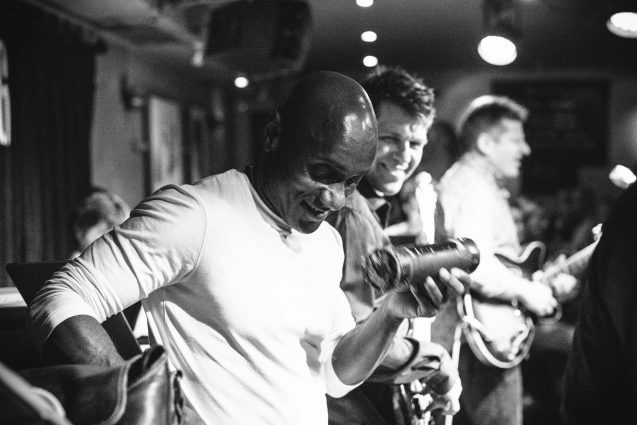 A big thank you to all the people that helped me to put this together, special shout out to Andy Stott, Peter Tomasso, Pete Whitfield and the musicians of NYJO who came out to blow through the charts before the gig! 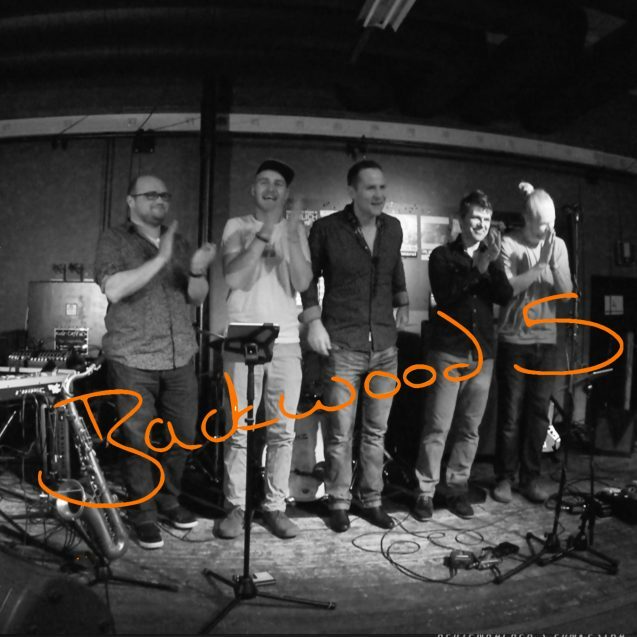 In March it was studio time which also marked the beginning of Backwood Five, basically the Austrian relative of the Funkestra, run by funky drummer Seppi Hinterhoelzl, aka ‘Joe Backwood’. It was so much fun that Joe organised a mini-tour and recording session in Austria during November – the energy was just fantastic and is very likely to fuel more activities in 2017! Check on their activites here. The Haslemere Fringe Festival in the summer marked another high point and featured vocalist Lisa Olivant from the RNCM Session Orchestra – we are looking forward do doing more with her in 2017! 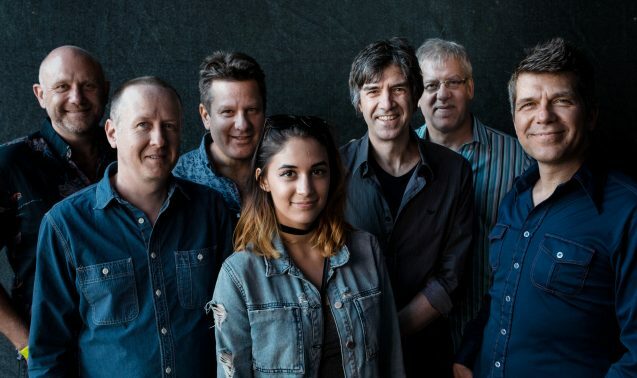 Another new ‘addition’ to the band is vocalist Helena-May – her soulful vocals and general feel-good vibes are hard to beat and we are glad to have our own funky ‘little miss sunshine’ interpret our re-imagined funk and soul tunes – can’t wait to write some more originals with this talented singer. 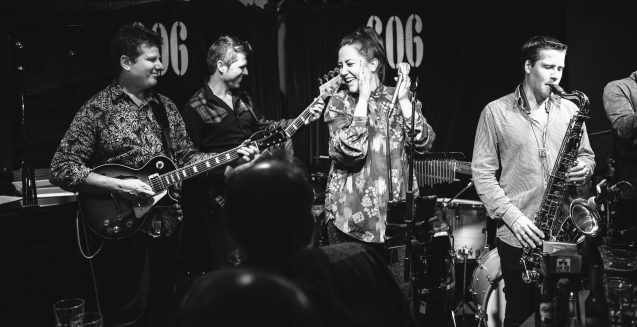 Throughout the year the 606 Club was definitely our main stomping ground and it was our pleasure to bring our stew of funk to the now 40 year old club, pretty much every other month of the year! 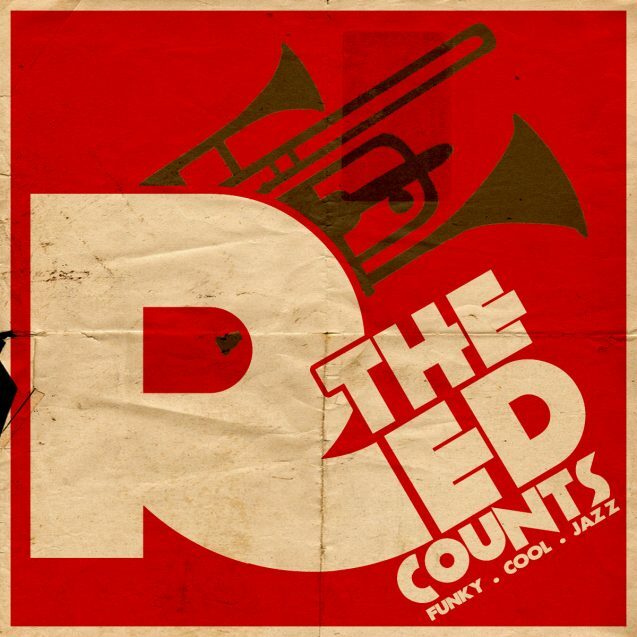 2016 was another year of 12 of my ‘in session’ columns for the iBass Magazine and editor Nick Wells – a good portion of the tracks came from ‘The Red Counts’ album ‘A little book of Jazz’ – the jazzier sibling of the Funkestra. Have a listen here. 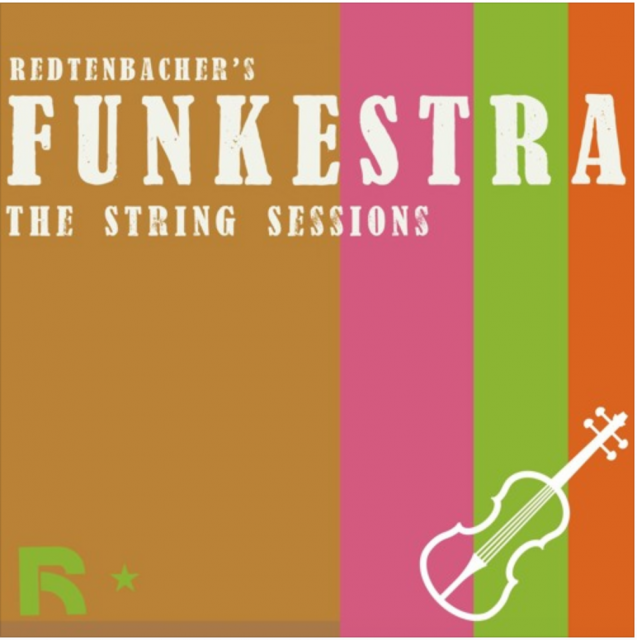 The collaboration with string arranger Pete Withfield on previous Funkestra record has finally led us to write together and currently we are working on a Funkestra ‘The String Sessions’ album. Get a taste here. I also must make a mention of our new permanent member of the band – Mr. Karl Van Den Bossche on percussion. 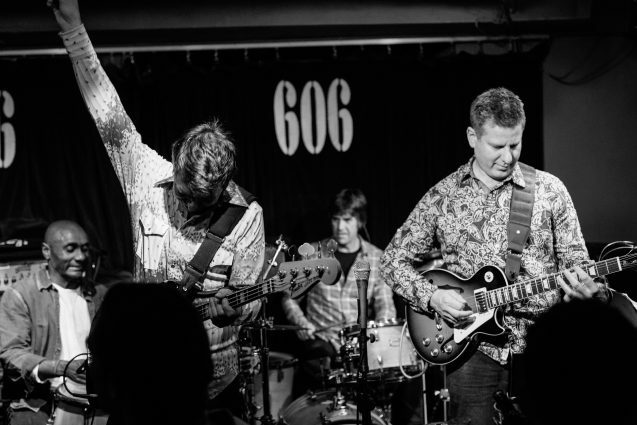 Mike and myself have been playing with Karl in ‘The Staxs’ for years and it felt like a natural progression to add his mean groove to our Funk machine. 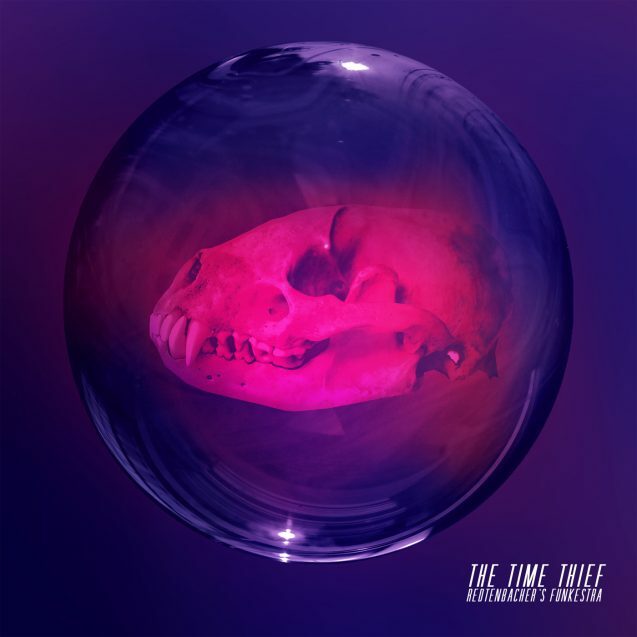 And last but not least, finally, we dropped ‘The Time Thief’, our 9th release and 7th full blown album at the first of December. Watch this series of ‘the making of’ and if you enjoy them, please subscribe to our YouTube channel. The activities with larger ensembles have led to another Funk Orchestra outing – the ‘Upper Austrian Funkestra’ will perform on Saturday, 11th of March 2017 at the Anton Bruckner University as part of the Jazz Weekend. I can’t wait to work and play with this large ensemble with 12 strings, 13 horns, 8 rhythm, 3 singers and myself with my bag of funky tunes! As always a special thanks to my funk bros Mike Sturgis and Eran Kendler. Our time in the ‘Funkshed’ are always fun, productive and simply a pleasure. PS: Thank you Rob Blackham for all your cool images throughout the year! Have a look here at this awesome picture collection.